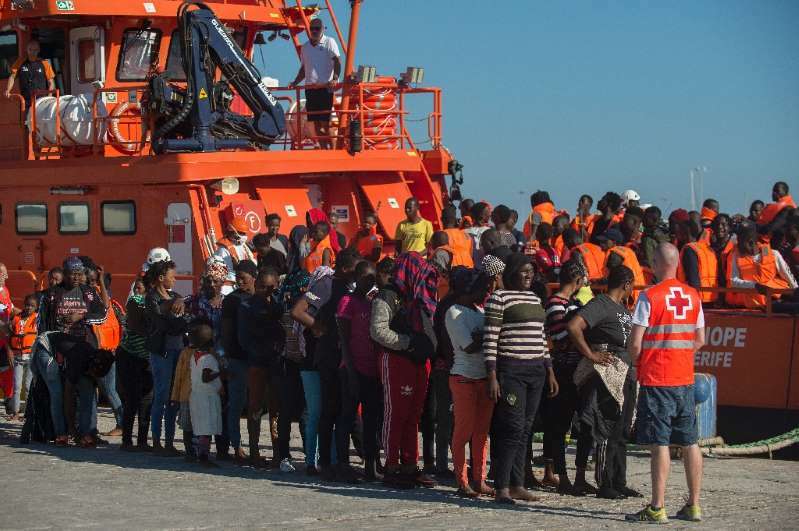 A total of 675 migrants, including children and babies, were rescued off the Spanish coast over the weekend, a government spokesman told AFP. On Saturday, 405 were picked up from what are often unseaworthy people smugglers' vessels, with seven children and babies among the African migrants. The rescuers were unaware of any who were in serious medical condition or lost overboard. More than 40,000 migrants have reached Spain since the start of the year, most via the maritime route but also by making their way into Spain's two tiny enclaves in Morocco -- Ceuta and Melilla -- according to the International Organization for Migration. That represents 40 percent of the roughly 100,000 arrivals throughout Europe over the period. Meanwhile, more than 1,700 people were lost in the Mediterranean Sea.